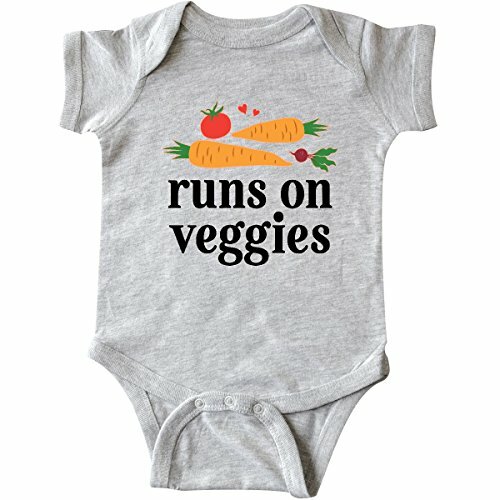 Funny vegetarian runs on veggies Infant Creeper gift for a vegan with vegetables logo. Runs small and not very soft material. Cute and I like the message but the material is not very soft.